Following an account of the history of the Chinese Church, the bishops analyze the differences between the Roman Catholic Church in China and the government sanctioned Chinese Catholic Patriotic Association - which does not maintain ties with Rome and the Pope - as well as the distinction between their respective representative bodies, the National Conference of Roman Catholic Bishops and the China Catholic Bishops' College. Arguing that "no member of the clergy of the universal Church is permitted to be in sacramental communion" with the Patriotic Association or the China Bishops' College, the bishops call for prayers that their "separated brothers and sisters" may "return home to the universal Church ruled by our sovereign Pontiff." May the love of God Our Father, the grace of our Lord Jesus Christ, and the gifts of the Holy Spirits be with you all. This year is the seven hundredth anniversary of the mission of Blessed John of Monte Corvino, Archbishop of Peking (Beijing), in China. This also coincides with the fifth anniversary of the establishment of the Chinese National Conference of Roman Catholic Bishops. Now blessed with these two great occasions, we wish to speak to you by this Pastoral letter. There has been a long history of evangelization in China. Since our Lord's ascension and his command to the Apostles to proclaim the Good News of salvation to all nations, St. Thomas the apostle traveled at least as far as India. Some further research has shown that he also reached China. A French magazine discussed this very issue during the period before China became communist in 1949. An archaeologist discovered an iron cross crafted with a couplet relating to the Church and with an emblem of Sun Wu of the Three Kingdoms as proof of the missionary activities in China during the early years. Emperor Tai Zong of the Tang Dynasty ordered his Prime Minister to welcome a Nestorian missionary as a distinguished guest. Again, at the time of Father Matteo Ricci, S.J., a stone monument was unearthed in Sanxi imprinted with the inscription: "The spread of Nestorianism in China." Nestorianism is a heresy and is a church in schism. 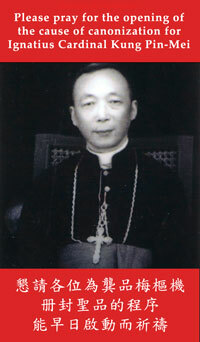 Chinese history refers to Archbishop Corvino as the pioneer of the western missionary activities in China. 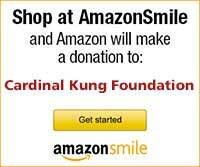 On this 700th anniversary of Archbishop Corvino's mission in China, we must commemorate him. The time, place, and format of this commemoration are not important. Rather, the focus is to model our lives on his activities with others, and his proclamation of the Gospel over thousands of miles, oblivious of hardship and dangers to his own life and faithful to the spirit of Jesus Christ. "We know from reliable sources that for many years, you have possessed great missionary zeal. With the permission of your superior you went to the capital of Mongolia (now Beijing) to proclaim the Gospel to the people. Under the guidance of the Holy Spirit you achieved much and baptized many. Therefore, we now hereby bestow on you a special authority. After you are ordained a bishop, you have the authority to ordain other bishops, priests, deacons, and to commission religious in the Yuen Kingdom (China), together with the authority to govern them in the same manner as we govern the Church in the West. We also hereby bestow this same special power to the successor of the Archbishop of Han Ba Li (now Beijing). This special authority, however, is based on one condition: obedience and submission to the supreme authority of the Roman Pontiff; at the same time, acceptance of the archbishop's pallium. We also wish to remind you, as you have previously done, to use paintings from scenes described in the New Testament to adorn your future churches so that even those who cannot read and write can contemplate the mysteries of God's work by these drawings." We can learn many important lessons, be inspired and benefited from this Papal letter. First, we know that Archbishop Corvino was obedient to his superior. Transportation in those days was very difficult. During the lengthy journey from Italy to China, many of the Archbishop's companions died. Second, we learn that the special power to ordain bishops was not begun until recent years. This practice in China dates back seven hundred years. More importantly, ordained bishops must obey and submit to the supreme authority of the Roman Pontiff; because obedience to the Pope as the vicar of Christ on earth is the fundamental requisite or the sine qua non of the bishop's own authority. Therefore, it is important that we revisit this essential command and teaching of the Pope which applies even to the present time. We, therefore, call upon all clerics and brothers and sisters in Christ in the whole of China to unite and to study seriously this parennial teaching of the Popes, to commit it to our minds, and to put it into practice. We call upon you all to share this teaching with your relatives and friends in order to complete the glorious mission God has given to us. Unfortunately, due to the interference of sources outside the Church, today's Catholic Church in China is divided. One part of the Church is recognized by the Government, and this is termed the "official church" and its bishops are called "official bishops." Although these "official bishops" call themselves Catholic while recognizing St. Peter as prince of the apostles and the Pope as the successor of St. Peter, they regard the Pope merely as the spiritual leader of the Universal Catholic Church. They refuse, however, to recognize that the Pope has supreme legislative, executive, and judicial authority in the Church. They also refuse to recognize the Papal authority to appoint and govern the Catholic bishops of the whole world, which naturally includes China. Our Catholic faith, however, teaches that the Pope is the supreme pastor of the Universal Church and that he has the immediate, full, supreme, universal, and ordinary power over all the Catholic faithful of the entire world. All members of the clergy and laity, without exception, are bound in duty to submit to the supreme power of the Roman Pontiff. THE FARCE OF AUTHORITY IN GOVERNMENT-SANCTIONED "CHURCH"
The faithful should know that once a bishop is ordained, he has the simultaneous duties to sanctify, teach, and administer the Church. Guided by the Holy Spirit, a bishop is shepherd of the Church, a teacher of doctrine, a priest for the sacred liturgy, and an administrator of the Church. The faithful must also know that without communion with the Roman Pontiff, who is the head of the Universal Church, and without communion with the bishops of the universal Church, the duties of bishop cannot be carries out. Church administrators must be bishops. However, the China Catholic Bishops' College is accountable to the National Congress of Catholic Representatives. This structure of accountability illustrates that the National Congress of Catholic Representatives bestows administrative authority upon the members of the China Catholic Bishops' College. Therefore, if the same individuals were to rewrite the Catechism, what would their answer be to this important question: "What are the duties of the different members of the Church?" Instead of the correct answer of "The faithful follow the teaching of the priest, the priests follow the teaching of the bishops, the bishops follow the teaching of the Pope. Through this union, we become one-fold and guided by One shepherd, as Christ has commanded." "The faithful listen to the priest, the priests listen to the bishop, the bishops listen to the National Congress of Catholic Representatives." Then, to whom would the National Congress of Catholic Representatives listen? The authority of the National Congress of Catholic Representatives is higher than the China Catholic Bishops' College. "Who gives such authority to the National Congress?" Christ had never to taught. None of the Catholic theologians have ever so taught. The history of the Catholic Church has never so taught. The "authority" of the National Congress must be an unprecedented, great discovery of our country's "wise men." One of the special characteristics of the Catholic Church is the communion of the universal Church with the Roman Pontiff. The Church is led and administered by the Pope. However, the China Catholic Bishops' College does not possess such a character. Its authority does not come from the Pope, or from the College of Bishops headed by the Pope, but from the National Congress of Catholic Representatives. Because of its formation, its constitution, its autonomy from the Pope, its accountability to the National Congress of Catholic Representatives, rather than to the sovereign Pontiff, we, the bishops, as members of the universal Catholic Church, do solemnly declare that the China Catholic Bishops' College and those churches which are led by the College has become a new church, not the same as an Orthodox church, nor the same as a Protestant church, and definitely not the same as the one, holy, Catholic, and apostolic Church. Those bishops and clerics belonging to this new Church and to the China Catholic Bishops' College, are not in communion with the Pope nor with those bishops who are in communion with the Pope, and those Christian faithful who have failed to declare their separation from the China Catholic Bishops' college are no longer members of the Catholic Church. No member of the clergy of the universal Church is permitted to be in sacramental communion with them. It is most lamentable and unfortunate to be separated from the Church. We must pray often for these separated brothers and sisters so that the merciful Lord will grant them the grace to repent. We must persuade them with love and encourage them with faith, so that they too will be filled with the Holy Spirit, and be courageous witnesses of Christ. May they sail smoothly on the bark of mother Church with St. Peter at its helm and return home to the universal Church ruled by our sovereign Pontiff. The Gospel has been preached to the great people of China for several hundred years. Countless brave persons followed the footsteps of Jesus Christ. For their love of Christ they were arrested, banished, and for him they shed their blood. They suffered the trial of physical and mental torture. "Blessed are they who suffer persecution for justice' sake: for theirs is the kingdom of heaven...Be glad and rejoice, for your reward is very great in heaven" (Mt 5:10,12a). "Remember my word that I said to you: 'The servant is not greater than his master.' If they have persecuted me, they will also persecute you" (Jn 15:20). We must wipe away our tears, cleanse our wounds, renew our spirit as witnesses filled with the flame of love for God and live under the guidance of the Holy Spirit. We must march to the battleground to spread the Word of God with fervor, courage, ingenuity, and deliver the gift of salvation to the community around us. We must speak Christ in our words and live Christ in our lives. To be in the company of Christ, we must be "wise as serpents and simple as doves" (Mt 10:16) to avoid the occasions of sins. If there is a church or an assembly for prayer, make good use of it to serve God in worship. If there is no church or gathering place, follow the example of the Holy Family by joining together as a family to please our heavenly Father. For those who do not have even this opportunity, use your own heart as the temple of God, and speak to God intimately at any time. Worship God in spirit and in truth. Glorify him, and you will save souls, both yours and our neighbors. The persecution of the Church today is like an overwhelming storm drowning the world, similar to an early warning coming before the end of the world. This event is not the work of man. This power is unleashed from the gates of hell. This storm is created by a political movement to defy the will of the people and to overwhelm them. It has created the current state of worldwide religious persecution in different guises against God, against sanctity, against humanity, against Holy Church, and against the sacred authority of the Vicar of Christ. This force exists in China as it does in other parts of the world. Our church in China must depend upon our Lady of China, upon all the angels and saints to guide us from on high so that we will perform honorable works, spread the message of faith unto salvation, a model to all the world. We are not only in the midst of an unusually challenging era, but also we are in a period of storm, distress, and unrest. We must build and construct, lest we be shamed by the neglect of so great an opportunity. Let us pray to the Holy Spirit to fill our hearts enabling all of us, from the Catholic bishops of our Conference to our faithful priests, religious, and laity, to reconcile our differences and our faults. We need to examine our consciences, weigh carefully the counsel of others of goodwill, to repent deeply for our own shortcomings, and rekindle our spirit. By the help of the Holy Spirit and our own diligence we should be able to create a better age of Catholicism. When the time comes, we will no longer exchange such greetings as "hello" and "good-bye,", but with Landetur Jesus Christus - "Praised be Jesus Christ."